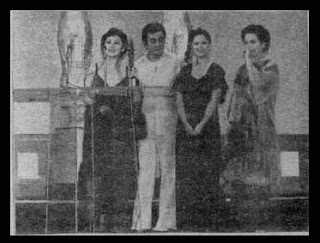 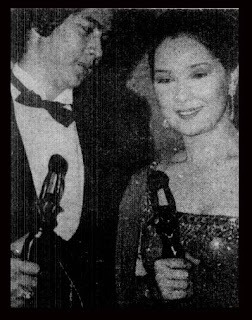 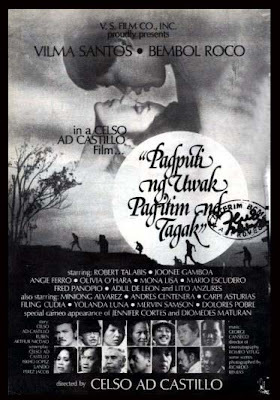 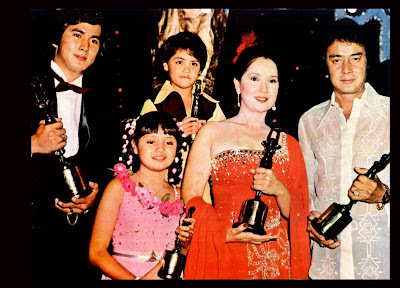 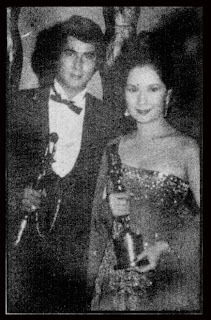 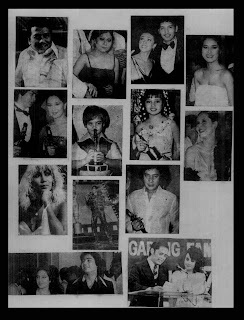 Vilma Santos, producer of "Pagputi Ng Uwak, Pag-itim Ng Tagak" receives the Best Picture award from Oscar Moreno, Veronica Jones and Tita Munoz. 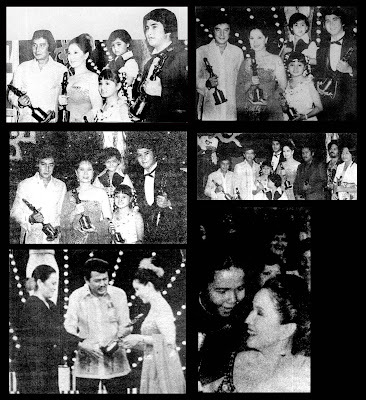 Vima Santos and her Best Picture trophy with Junior. 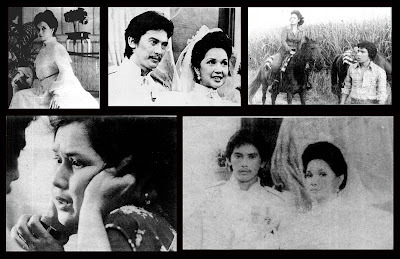 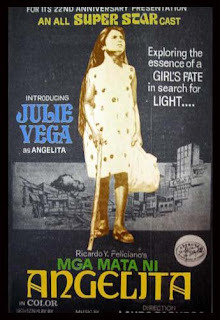 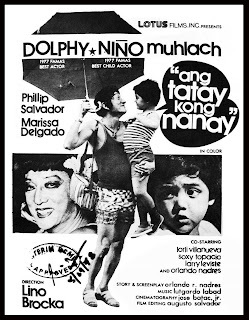 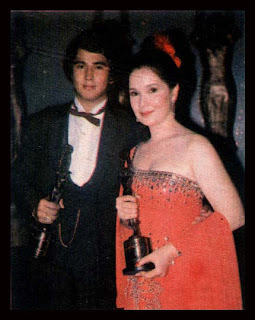 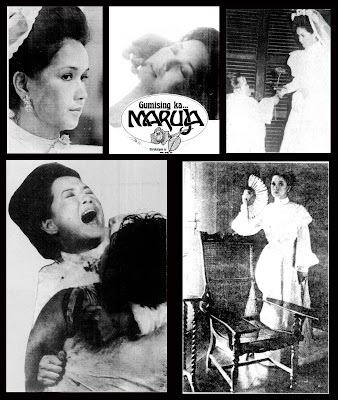 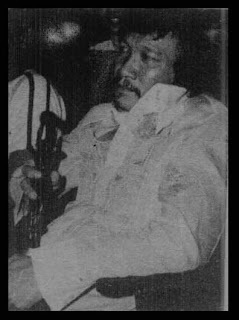 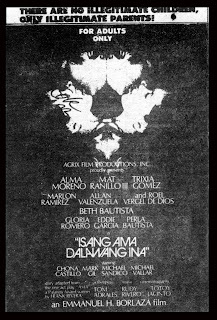 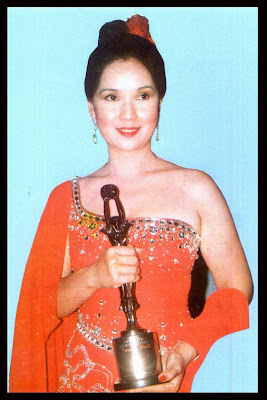 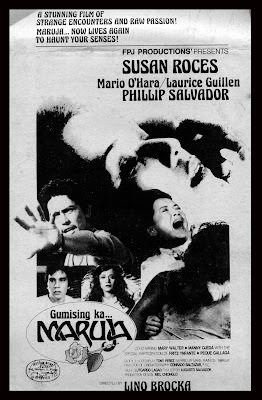 Movie stills from Rosas Productions' "Gumising Ka, Maruja" starring 1977 and 1978 Famas Best Actress Susan Roces.